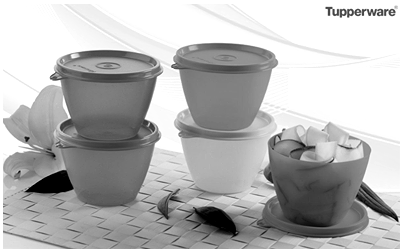 Tupperware India, a leading kitchenware direct selling firm, along with its top honchos in India have approached the Punjab and Haryana high court challenging a first information report (FIR) by the Chandigarh Police for alleged violations of the Chits and Money Circulation Schemes Act. The FIR was registered in August against the company and its top management officials, including chief executive officer (CEO) Rick Goings, managing director, Tupperware India, Shilpa Ajwani among others on the complaint of a Chandigarh woman. Besides, Ajwani, Vandita Datta (director finance), Chandan Dang (director marketing), Jaideep Abhichandani (regional sales head north) and Michael Lazaro (head emerging markets), working at the Gurgaon corporate office of the company have been named in the FIR and are petitioners in the matter. Many of them have secured pre-arrest bail from the high court and permissions to visit abroad. The Chandigarh Police unsuccessfully tried to oppose the bails stating that these executives were not cooperating in the probe, standing counsel, UT, JS Toor said. The company has sought quashing of the FIR accusing the Chandigarh Police of abuse of “criminal process of law and launching avoidable and baseless criminal investigation” on vague allegations. It was purely a private dispute in which state (UT) is trying to be an arbitrator. The account of the company with the Royal Bank of Scotland has been frozen, the petitioners told the court. The company has submitted that the complainant woman “defrauded” it and stopped payment of outstanding amounts to the tune of Rs 25 lakh, part of it to be paid to former distributor. The company says the agreement was on non-exclusive basis, the woman knew the company also uses marketing facility through internet to reach out to the customers. The complaint, Seema Arya, is a distributor in-charge of the company products for Chandigarh, its neighbouring towns and Shimla. The woman had alleged that she was appointed as a sole distributor but the company products were being sold online and also through the company’s former distributor and others. This has resulted in loss of Rs 50 lakh to her. The next hearing in the matter is on October 29, when the Chandigarh Police have to respond to the allegations of abuse of criminal process of law by its officials. Apart from the allegations of violations various sections of the Prize Chits and Money Circulation Schemes (Banning) Act, 1978, the company and its top executives have been booked for alleged fraud and criminal breach of trust. The complaint, Seema Arya, a sole distributor in-charge of the company products for Chandigarh, its neighbouring towns, alleged that the company products were being sold online and also through the company’s former distributor and others. This resulted in a loss of Rs 50 lakh to her. An FIR was registered against the company officials for allegedly violating the Chits and Money Circulation Schemes Act. The company, however, has sought quashing of the FIR alleging that the complainant woman defrauded it and stopped payment of outstanding amount to the tune of Rs 25 lakh. The case will come up for hearing on October 29.